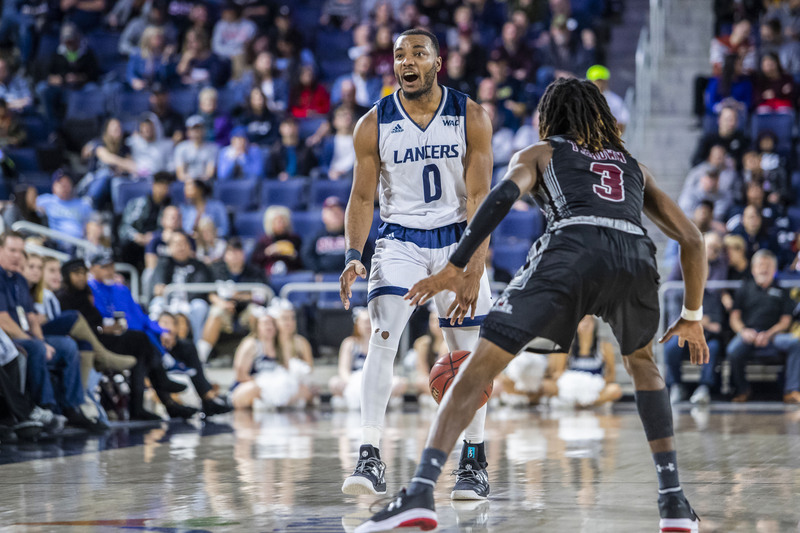 For the second time this sea- son, Milan Acquaah, sophomore business administration major and guard, was named Western Athletic Conference men’s bas- ketball Player of the Week for his e orts from Dec. 31 through Jan. 6. Acquaah attributes his success this season to his time on and o the court with peers, professors and teammates. During the week, Acquaah averaged 28.0 points per game with 55.6 percent shooting from the field and an impressive 91.7 percent shooting from the free- throw line, in addition to averaging 5.5 rebounds during the stretch. Head Coach Rick Croy said he believes Acquaah had a smooth transition from his former school, Washington State University. Acquaah led the Lancers to fourth place in the Western Athletic Conference standings with a 10-7 mark while being 2-2 during conference play, leading the team with an average of 32.4 points per game this season. Croy said he believes that Acquaah has been a leader on and o the court, which has helped contribute to the men’s basketball team’s success. Acquaah said that after a rough first year at Washington State, it was an honor to win two WAC Player of the Week awards and he gives the credit to God. On Jan. 9, Acquaah was nominated for the Lou Henson Award Mid-Season Watch List. He currently leads all WAC players with 21.6 points per game. Acquaah said it is an honor and blessing to be recognized for his e orts. Acquaah and men’s basketball’s next game will be in the Events Center Feb. 7 against Chicago State University.